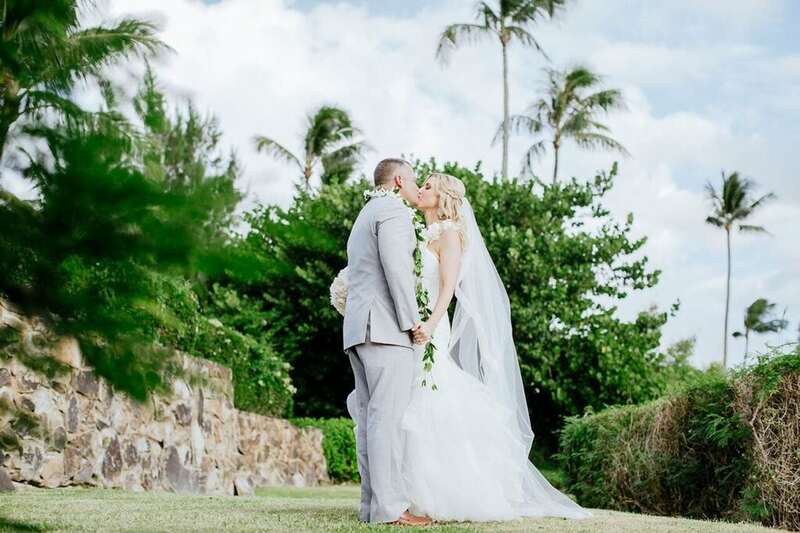 Peter and Melissa dreamt of an intimate and elegant ceremony for their Maui destination wedding so what better location than the beautiful Merriman’s Kapalua wedding venue? 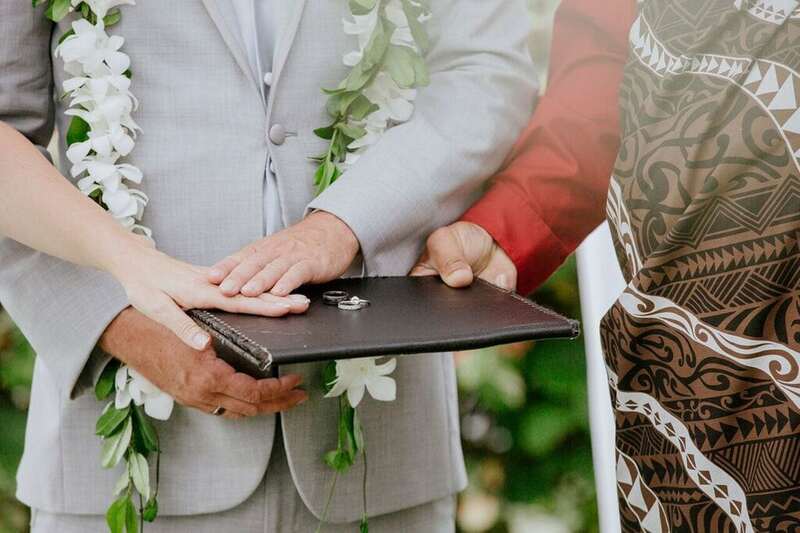 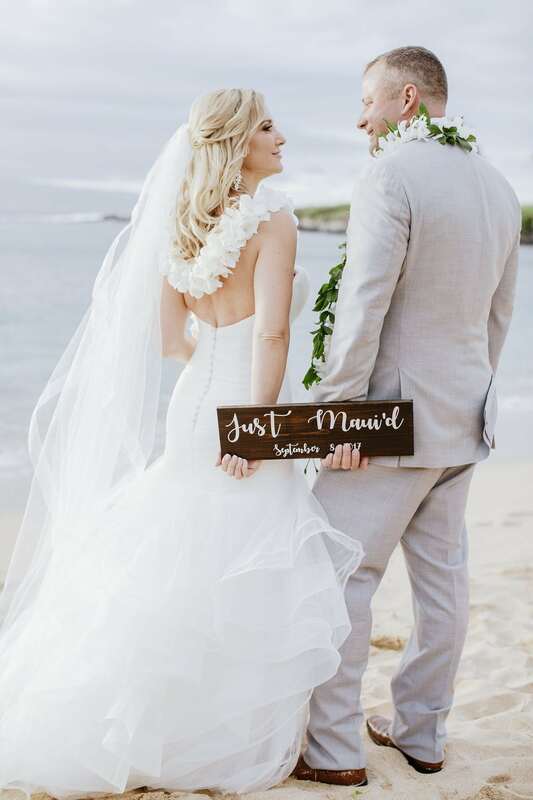 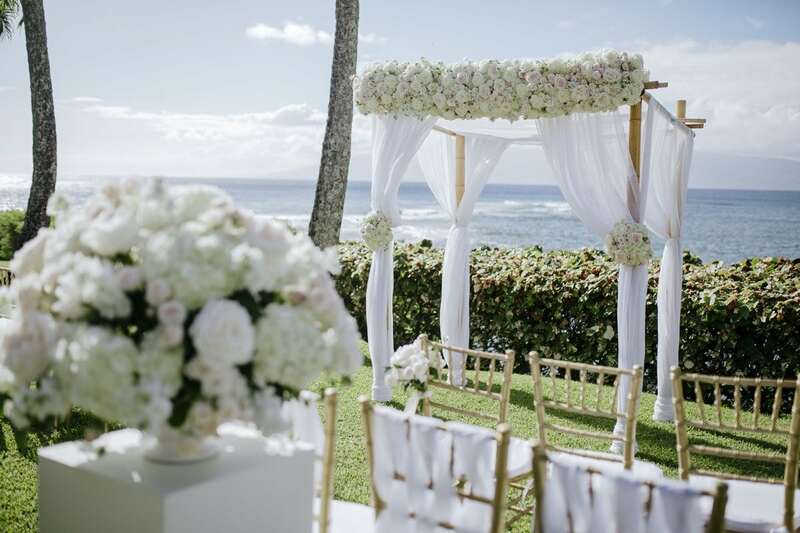 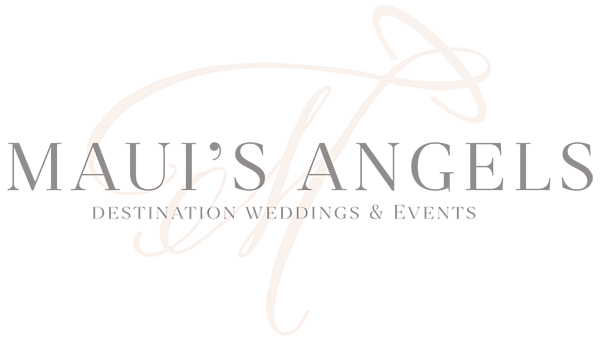 Which with the help of local Maui wedding planner, Ali Thorstad, who was able to incorporate personal and sophisticated design elements, they were able to watch their dream become a reality. 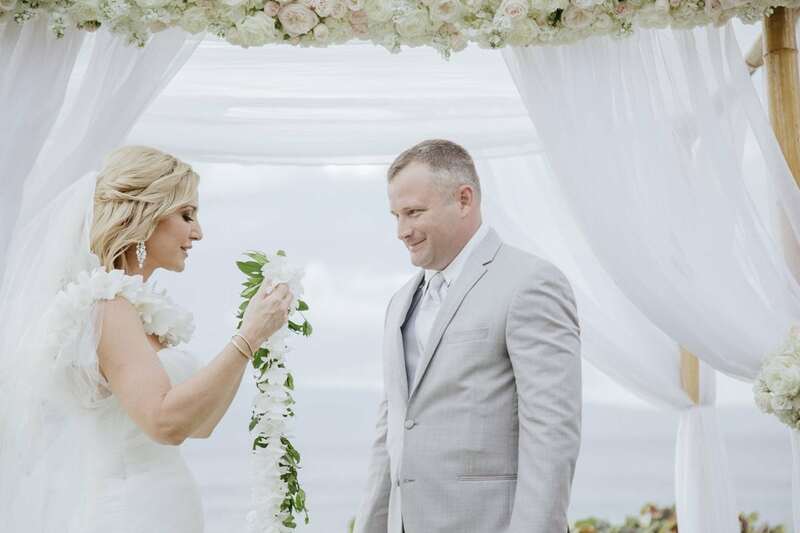 White roses provided by Bella Bloom created a timeless and classic feel for the ceremony. 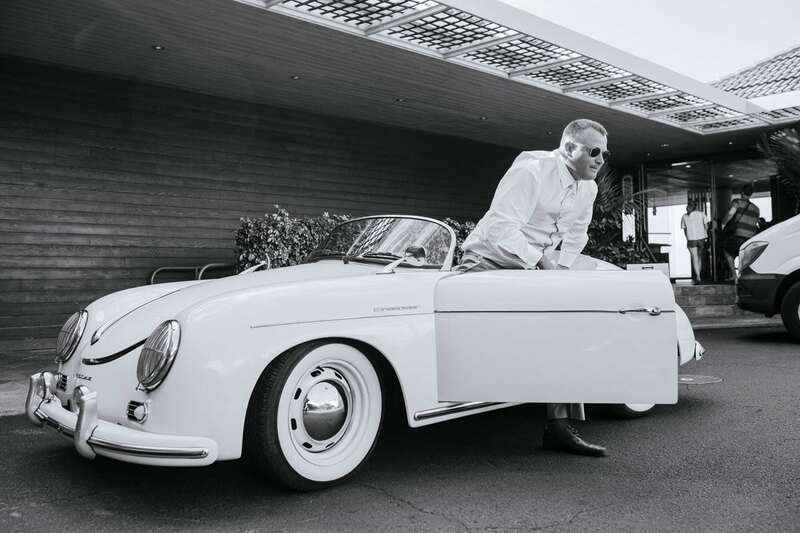 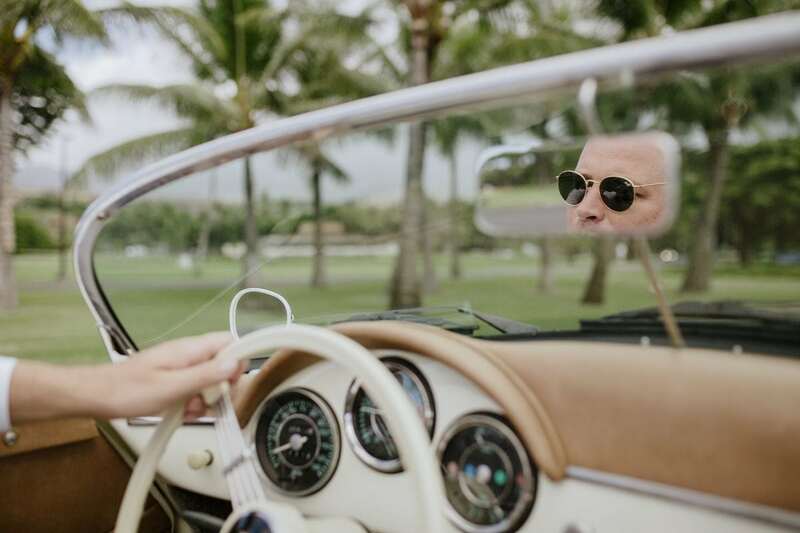 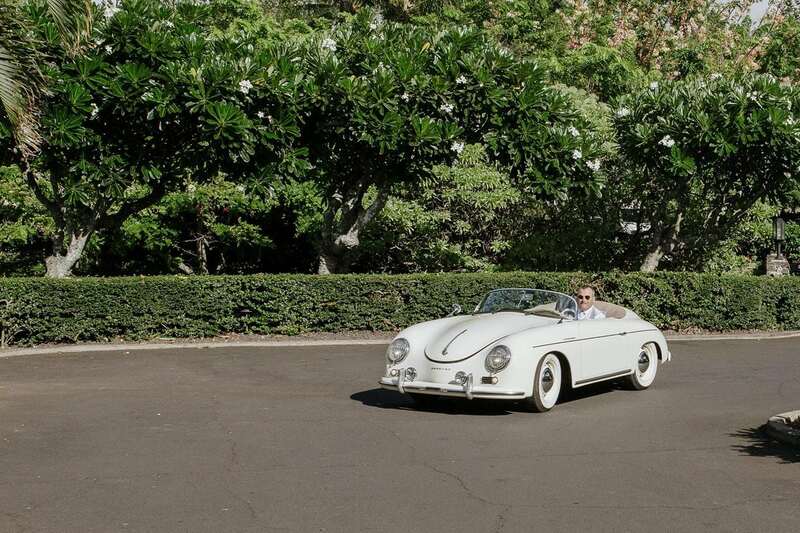 Peter added his own spark to the classic feel, arriving in style thanks to the classic Porsche provided by local luxury car rental company, Maui Roadsters. 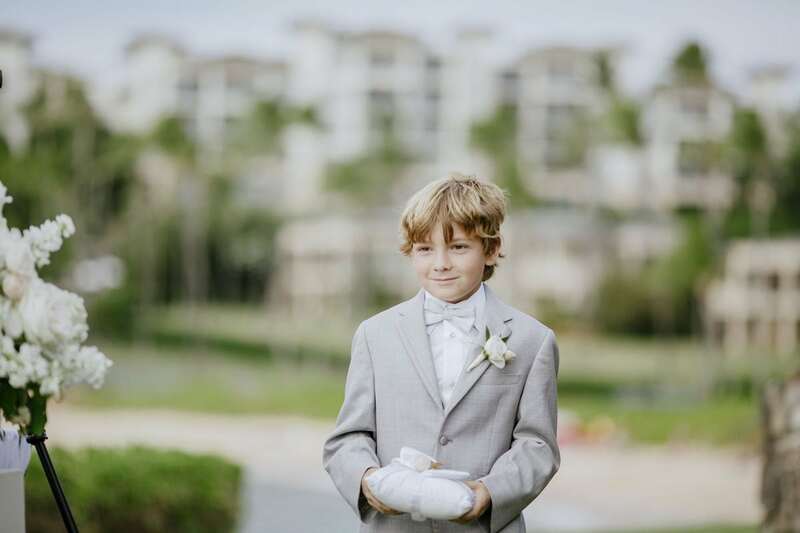 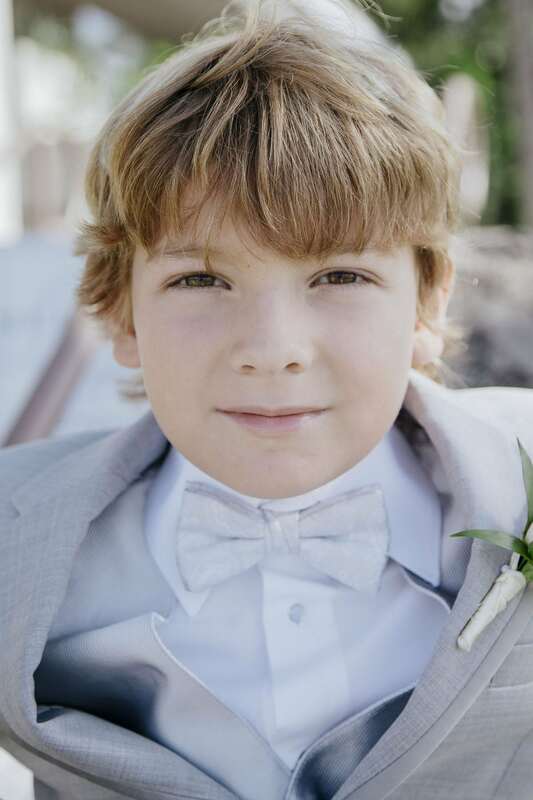 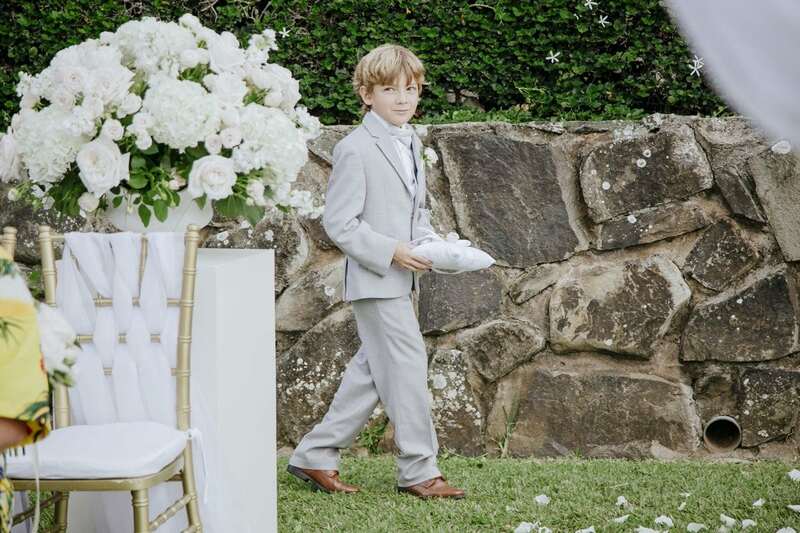 Peter’s son, Sebastian, was the proud ring bearer who appropriately matched his father in a fitted grey suit. 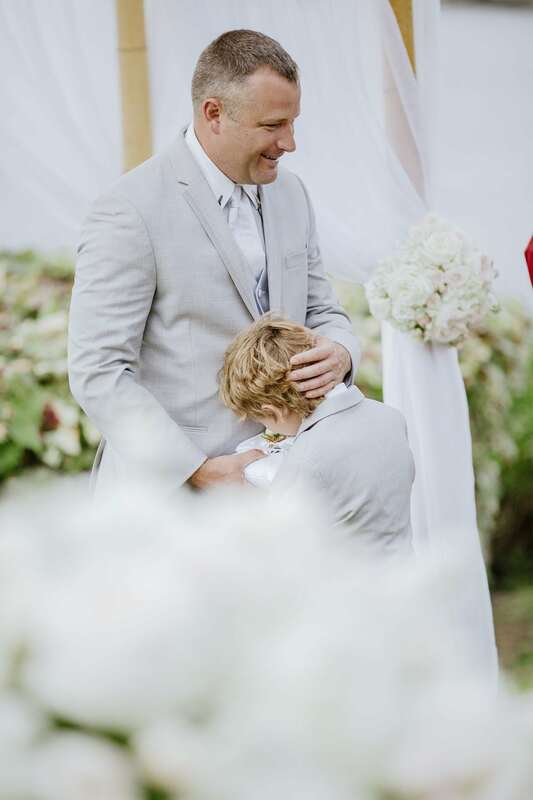 Photographer Chris J Evans captured his joy as he walked down the aisle to support his dad and stand alongside him as two families became one. 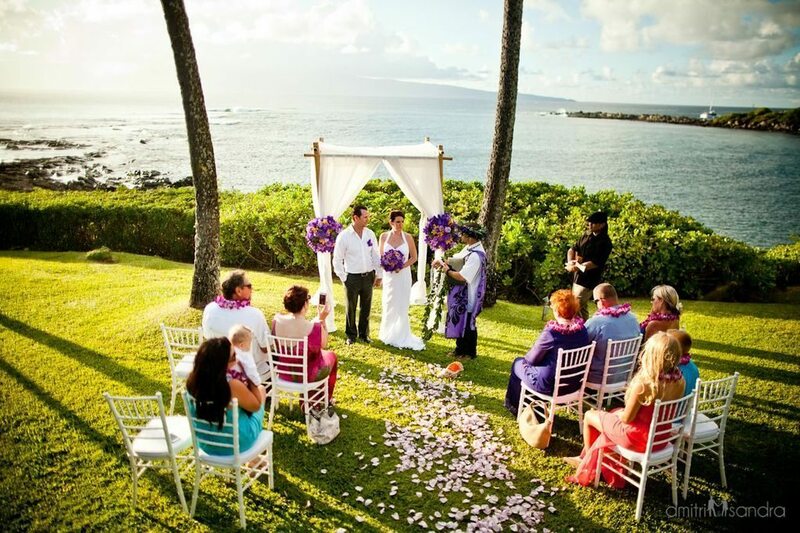 Melissa’s mother walked her down the romantic rose petal aisleway, where there was a beautifully adorned memorial chair designed for her late father. 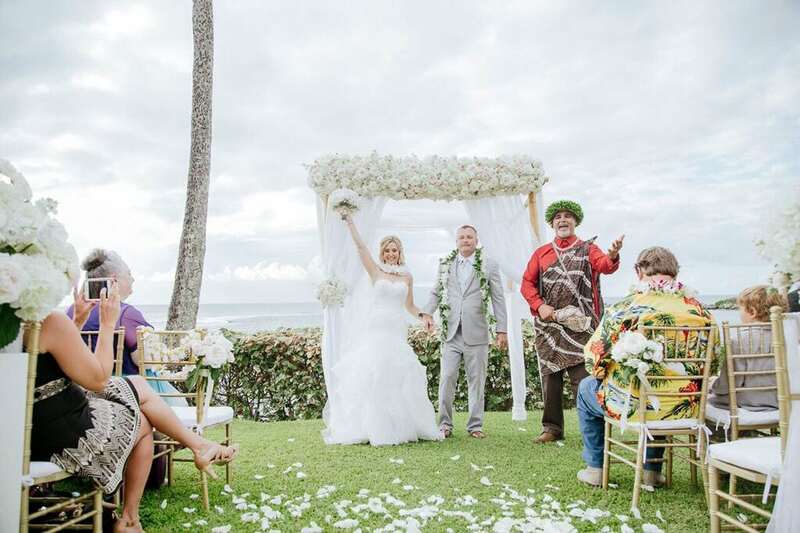 And Hawaiian touches were added to the ceremony, spreading the Spirit of Aloha to all the guests. 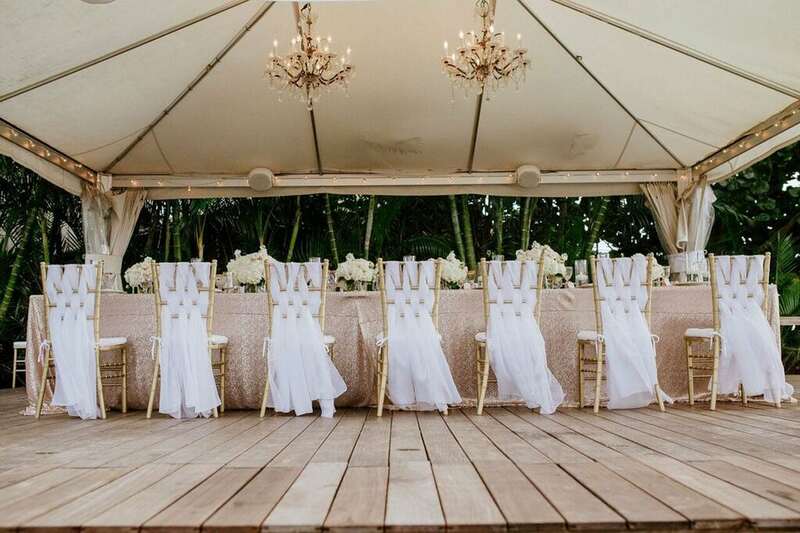 Melissa’s choice for sequin blush linens added just the right amount of sparkle to their romantic and heartfelt wedding reception where Ali worked closely with Melissa to incorporate a memorial table decorated with her favorite memories of her father. 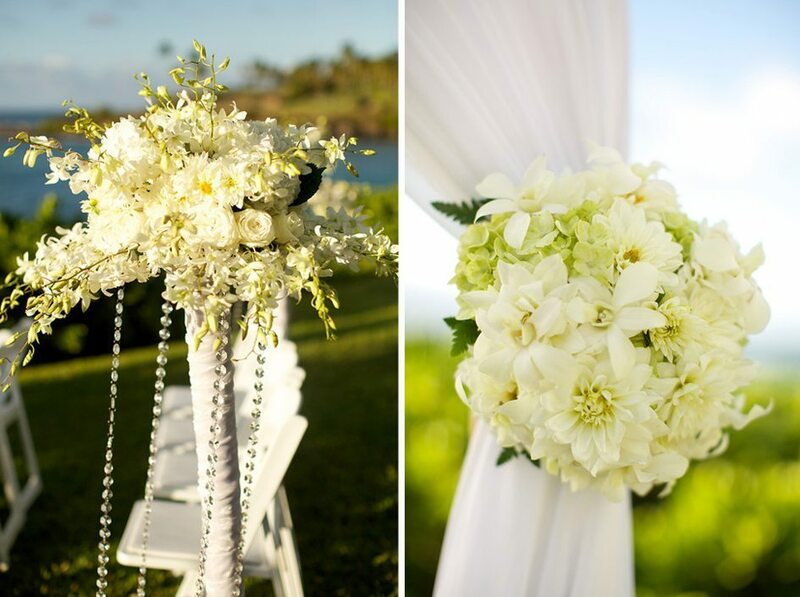 And also carefully curated unique details to infuse the Hawaiiana elements in a fun and personable way. 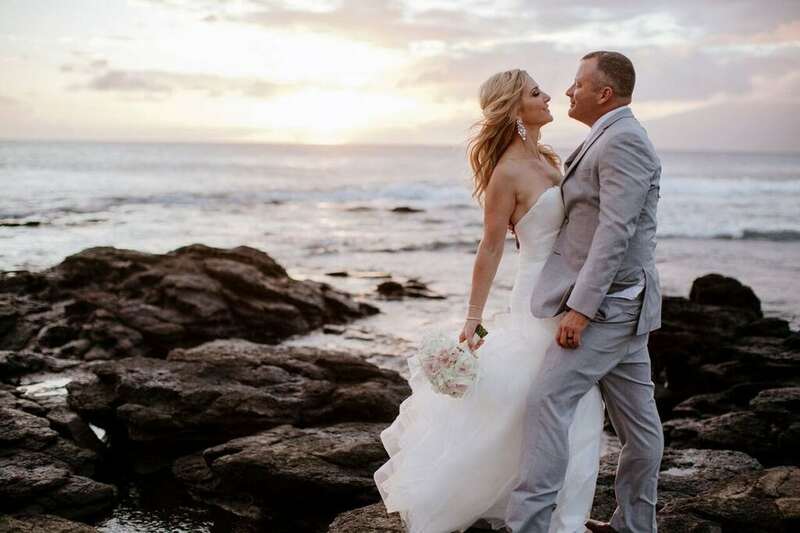 There is no question these two are madly in love and have a spectacular life ahead! 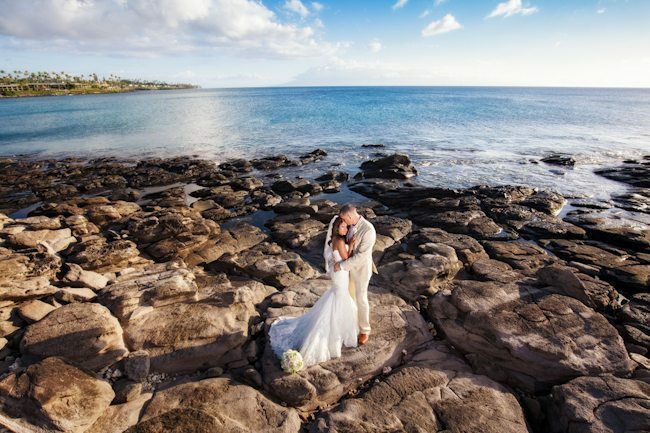 Congratulations Melissa and Peter! 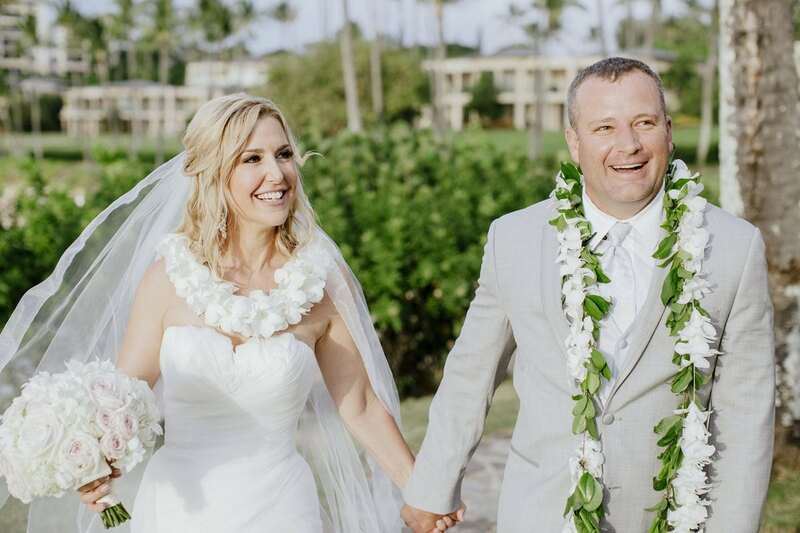 May you have a life long marriage filled with happiness and endless years of wedded bliss.